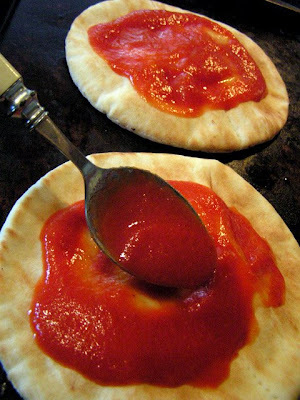 This pita pizza idea is seriously cool! 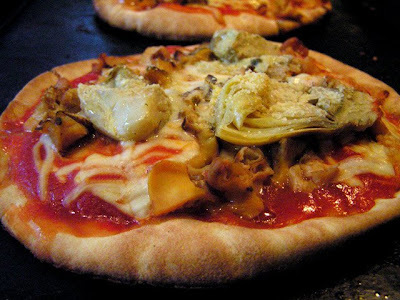 I'm linking to it from my blog at http://www.mybudgetkitchen.com. This is really versatile. 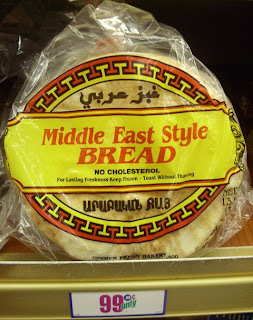 You could even open up the pitas and go Chicago style! Using your pita pizza idea as a guide, I used Gordita breads from the 99 Cent store as a base since I couldn't find pita. I found some really nice pepperoni and sausage there too and made 5 little pizzas for my family for probably less than 50 cents each. 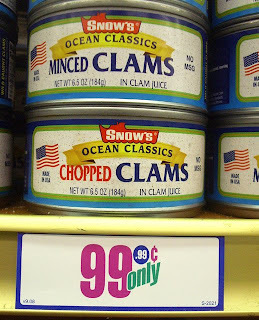 Thanks for opening my eyes to all the products at the 99 Cent store. 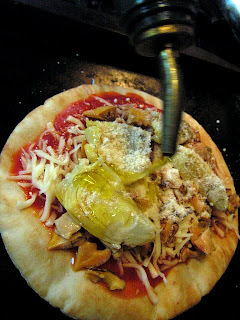 Hi Robin, I like the gordita pizza concept - deep dish style. I used to live in Eagle Rock, and Zankou chicken was always a fave! I just pulled them out of the oven and they are pretty tasty. Perfect for college students.